Whilst the whole of the UK is reeling today from the shock of the EU Referendum, I dragged my dazed self out of the office and to The House Fair, on what is a beautiful sunny day in London. 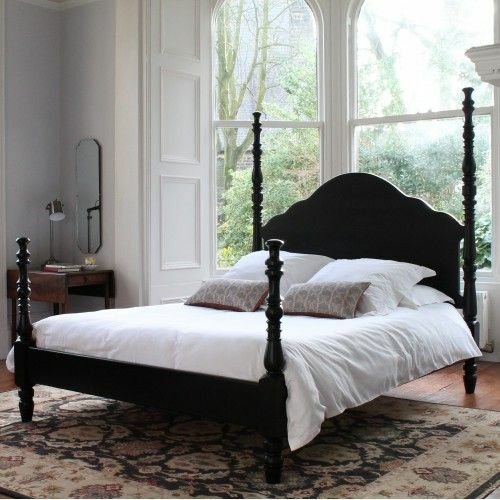 I was delighted to come across Yorkshire based company TurnPost, whose gorgeous four poster beds have recently made it onto my product radar. Their beds are totally customisable, and really beautifully made. Next is Urban Organic, the trade name under which Kelly Washborune sells her oil paintings as well as throws. 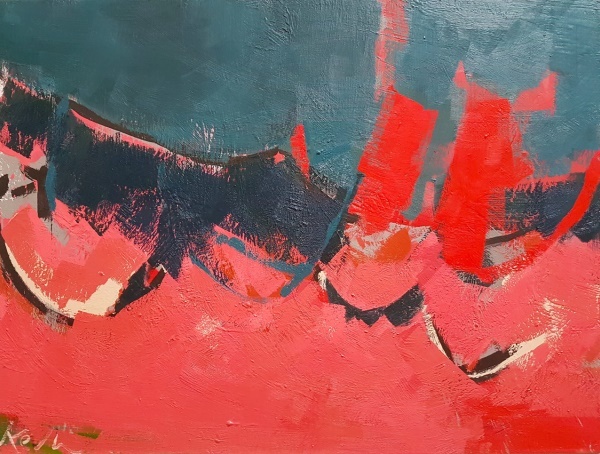 It was the abstract art that caught my eye though, especially as I am on the look-out for some pieces for a client of mine. 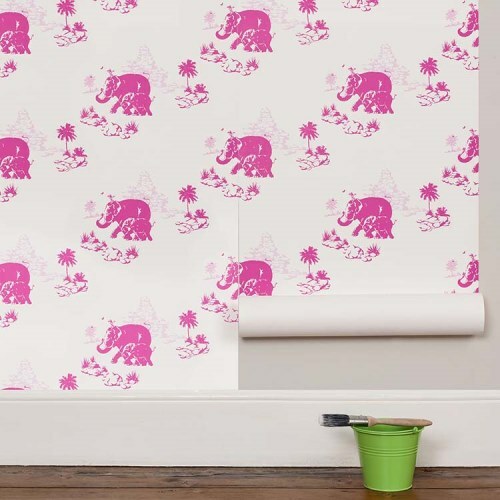 Dare & Do produce a range of playful wallpaper, fabrics, cushions, lamps and wall stickers for kids, in a selection of bright colours. 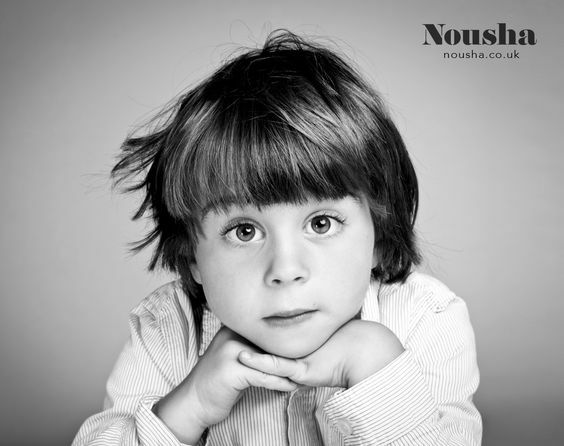 Talking about kids and art, I was captivated by the beautiful children’s portraits by Nousha. Run by former Royal photographer Lionel Cherruault and his wife Claire, the way they capture the children and families they shoot is just beautiful! 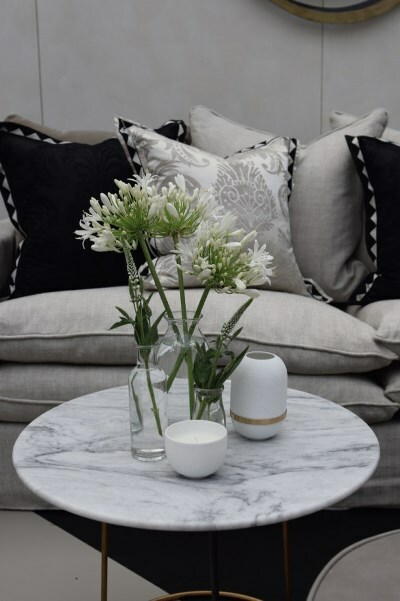 Anna Owens Designs had some gorgeous accessories on their stand that caught my eye – little single-stem glass vases, and the most beautiful matt and metallic shot and champagne bowls. Those are definitely on my wish list! 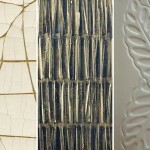 In the Spirit of Summer exhibitors my top pick is Anna Jacobs whose lamps I have already used in clients’ projects. 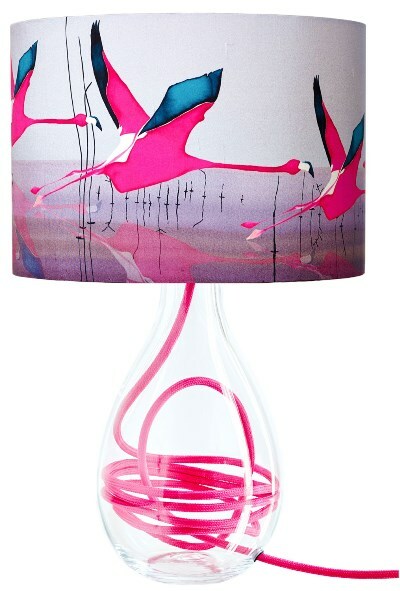 The colours in her silk lampshades are just exquisite! 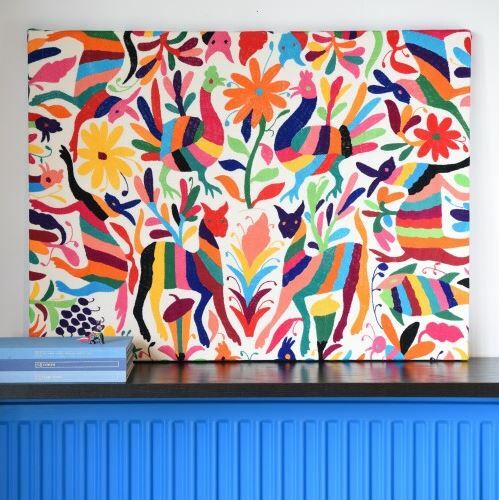 From Montes & Clark, I love these striking and vibrant multi-coloured hand embroidered stretched canvas artworks from Mexico. They would make a fabulous accessory to brighten up almost any scheme! A real statement piece! 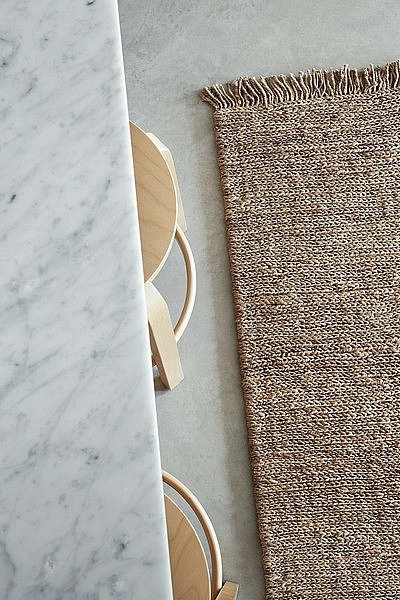 And, if bright is not your thing, then how about the beautiful, natural texture of this handcrafted hemp rug from Northwood? Will any of these items be added to your wish list? All I want today is that bed in a cool, half-dark room and no Brexit!